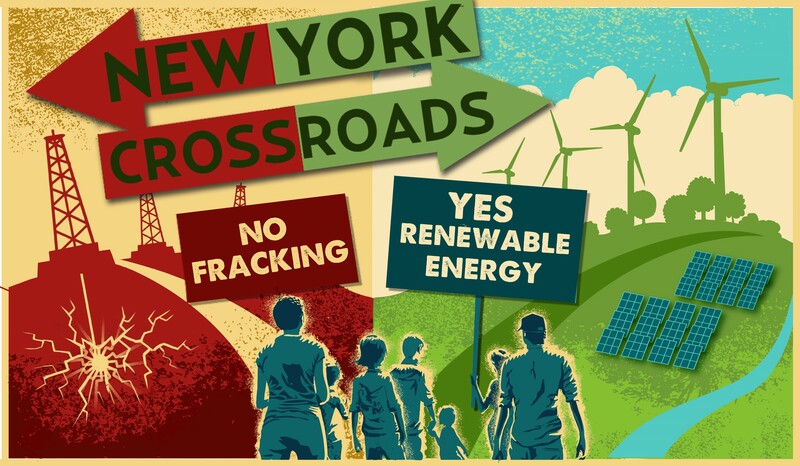 A member of the Coalition to Protect New York, Bartholomew said today: “There’s only one candidate who has spoken clearly against shale gas extraction — and the other candidate favors and has promoted it. This is significant for anyone involved in fighting climate change or fighting for renewables. Bartholomew noted that many environmentalists are participating in the “Democracy Spring” protests this week. See from Reuters: “Police arrest 400 at U.S. Capitol in protest of money in politics.” See continuing live coverage by TheRealNews.com. She added: “In New York State, thanks to an unprecedented negative response to the DEC’s [Department of Environmental Conservation] process of preparing the Final Supplemental Generic Environmental Impact Statement on fracking, as well as a separate health impact study by the Department of Health, the Governor deferred to the conclusions of those two departments and all high-volume horizontal fracking activity in New York is banned, essentially, for the foreseeable future. “Pennsylvania, on the other hand, is feeling the negative effects of fracking — both environmental and economic, since natural gas prices are plummeting and the promised windfall — both for individuals and localities — rarely materialized.